Damien Shalley is someone who randomly came across Bear Skin, several pages deep in google search listings and subsequently submitted feedback. Considering we gain hits from all around the globe, and a following which interestingly comes largely from North America, it was a surprise to find out he lived in the same city as me in a corner of the anitipodes. Since then he has submitted various guest posts to Bear Skin on various themes of interest – art, music and even creative originals. 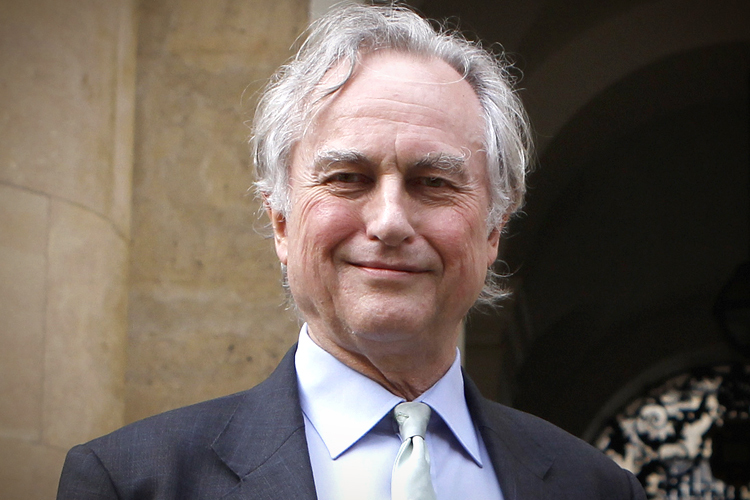 His latest piece is a reflection on everyone’s friend, Richard Dawkins. And there he is again, right on schedule, evolutionary biologist and social commentator Richard Dawkins. Perhaps best known for his “evangelical atheism” and his very public position that any form of religious belief is patently absurd, Dawkins loves to express his point of view during traditional Christian religious holidays such as Christmas. One seemingly cannot turn on a television during the festive season without being subjected to his anti-deist opinions. His annual analysis of why belief in God is foolhardy turned up as pre-Christmas viewing on both the BBC and the ABC in 2015, and his previous four-part analysis of why religious faith is antithetical to scientific endeavour also got a repeat airing. (He saves his strongest criticism for the Catholics in the final instalment, in case you hadn’t already guessed). Strangely enough he also resorted to spreading his views via Al Jazeera television last year. (Al Jazeera is funded by the Islamic government of Qatar). Make of this what you will. Professionally, Dawkins is an esteemed evolutionary biologist with a knack for clearly and accurately explaining biological and evolutionary processes. For this, he has my admiration. He may well be peerless in his capacity to disseminate this knowledge in an understandable way. I have often marvelled at how well he describes processes such as natural selection, the driver of evolution, and felt awed by his dedication to the advancement of human knowledge. But Dawkins insists that anyone who adheres to a religious faith or spiritual beliefs of any kind – his most famous target being Christianity – is deluded and foolish. In his publicly-stated view, religious belief is not worthy of serious consideration. His primary argument against it is simple – it is unscientific. God cannot be observed directly and “belief” cannot be quantified or measured. As such, religious belief systems defy the kind of objective analysis that a scientist like Dawkins requires and must be rejected outright. Yet one only has to scratch the surface of Dawkins’ primary argument to reveal a universe of questions for which he has no answer. Dawkins himself is a polite and erudite man in his mid-seventies. He is impeccably well-qualified and any attempts to question the scientific basis of his arguments are quickly and skilfully shut down during debates. His primary weakness, it seems, is his intolerance of alternative points of view. In his opinion, God is a delusion, Christians are fools and forms of belief that he does not understand are equally foolish. Dawkins is an adherent of rationalism and empirical analysis. He espouses a well-known and scientifically well-accepted view that our universe came into existence after a massive cosmic detonation. This explosion spread atoms from an infinitely dense ball of matter approximately the size of a melon to the farthest reaches of space. Elements created in this “big bang” formed the building blocks of organic life. Carbon-based life forms were created on earth when water, amino acids (proteins) and electricity combined to kick-start primordial existence. Human life subsequently came into being after billions of years of evolution. This is fine as far as it goes. It is a scientifically sound premise and there is a significant amount of evidence to support aspects of this theory. We live in an expanding universe (consistent with an explosive genesis), we are carbon-based life forms, we can observe primitive aerobic organisms living in hot springs in parts of the world today that might well be our primitive precursors, and we can see evidence of evolution in the form of prehistoric fossils and observe natural selection processes in wild environments. The Dawkins position looks pretty strong. And yet, it isn’t. Can matter originate from nothing? Can nothingness ever be the originator of “somethingness” (for want of a better word?) 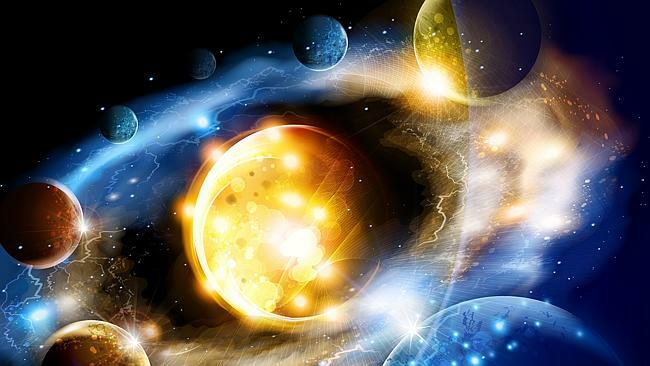 If our universe began when a massive accumulation of cosmic energy caused a concentrated ball of matter to explode, what was this cosmic energy and where did this ball of matter come from? Cosmologists have recently posited that in space, matter might accumulate in concentrated forms due to inversions wherein space folds in on itself in a cyclical manner. (This has been described as similar to the way in which warm air and low pressure systems create cyclones). This is another scientifically sound theory. But what is this matter which is accumulating? What is this “essence” of the universe – this foundation of creation, so to speak – and where did it come from? And why is the vociferous Richard Dawkins so strangely silent about this topic? Put simply, why can’t Richard Dawkins explain this in the same way that he so easily explains the known and understandable aspects of biology? Because he can’t, that’s why. (Also, he doesn’t want to). Dawkins has been at pains in the past to inform us that scientists cannot seek to explain phenomena starting from a “supernatural” standpoint. A premise such as the creation of matter by God bears no “internal consistency” to a scientist seeking a rational explanation. He cannot countenance this theological option, and within the boundaries of his scientific analysis, he doesn’t have to. But that still leaves a major hole in his analysis, as well as his conclusions about those who choose to seek additional answers elsewhere. The fact that television programmers choose to allow Dawkins to stick his head above the parapet during the holiday season is probably more a function of their search for an audience than anything else. (He regularly attracts both supporters and critics and they all watch his shows – including me). In his latest outing, Dawkins interviews cloistered monks, an American Catholic priest and comedian Ricky Gervais, as well as looking to astronomy and classic English literature to help explain his position. He concludes after 50 minutes that there is no God and that belief in a deity is facile, that we are an accident of the cosmos, that people should live as though death will render everything in their lives utterly redundant and that Christian celebratory holidays are cultural norms of the delusional. (Incidentally, it hardly seems unusual to me that a society with a Christian history has public holidays linked to this heritage. But hey, show some respect, Richard Dawkins is speaking). I’m not convinced of Dawkins’ argument and never have been, although I’m no opponent of science (or of free thought either). I believe that science is an invaluable tool for the betterment of the human race, and I believe that it has delivered the foundational understanding for our modern lives. Medicine, engineering, communications, education: these and virtually every other aspect of human existence have been improved by scientific advances. But I also believe that science does not, indeed cannot, answer any and all questions about human existence. And if people wish to seek answers in religious belief and social structures based on religious principles, it is not Richard Dawkins’ place to tell them that they shouldn’t. In the west, we condone a liberal tolerance of all points of view – asserting there is no such thing as “ultimate truth.” This itself is a truth claim but is a valid truth claim because it supports freedom of thought. So we believe in individual freedom. We don’t believe in any over arching system of ethics or system of truth, until another culture contravenes our ideas of what is right and wrong. Case in point, what greater evil than the censorship of freedom of speech? right ? In western nations, we believe in the power of forgiveness but not in oppressive views or regulations about sexuality. Other cultures believe in conservative sexual values, but not necessarily in our liberal notions of forgiveness. Not an honour-shame society for example. What is right and what is wrong ? Our bias tells us our ways are right and others are wrong. Other’s truth claims lead to violence and hate. Our truth claims are valid because they endorse freedom and life. In western nations, we hold dearly to notions of liberal individualism, yet imposing such notions on developing communities, essentially divorcing the individual as an entity from their community, wreaks havoc both for the individual and for the community in question. So well meaning help, from the vantage point of what we value highly can actually be a violence to a community. This begs the question of whether there is an ultimate narrative to aspire to understanding – an ultimate hero-journey, an ultimate discovery of “what is” that will guide our way? Or do we simply impose order and narrative onto life? This quote caught my eye recently in the Huffington Post. In 2009, Julianne Moore’s mother, Anne Smith, died suddenly of septic shock. She was 68, and Moore was devastated. After that, she stopped believing in God. “I learned when my mother died five years ago that there is no ‘there’ there,” Moore, 54, told the Hollywood Reporter. Do we impose a narrative on life – or is there a narrative there to discover ? Ultimately, what is truth? 38“What is truth?” retorted Pilate. In John’s account, Jesus makes the startling claim to not “speak the truth” but the “be the truth” that all truth-tellers speak of. In our understanding, the teachings of Christ are good and moral. He taught to forgive, to show mercy, to love our enemies. He gave up his life for these values. He was an iconoclast, a prophet not unlike Ghandi or Siddharta. He did not ever wish to be a good teacher pointing to the truth. He cannot be equated among good teachers for this claim. So, what do we do with his claim to BE the truth? If he claimed to embody the truth, this truth must be something like freedom or life, the only things that are of ultimate value and not relative worth. Science makes truth claims, but science is a provable system of empirical tests. Science claims don’t seek to control us, but rather support our understanding of the reality we live in. Moreover, the claims of science are ultimately disprovable, and the next test or proof can totally shift our understanding of reality to a new and deeper truth claim. I believe Christianity just as I believe the sun rises, not only because I see it, but because by it I see everything else. So Christ claimed to be the light by which we would see the world and reality. In narrative terms, Christ claimed to be the ultimate narrative to aspire to, the ultimate meaning in the universe. He stated that we do not simply “impose order and narrative” onto everything, but his IS the grand narrative. Science-fiction and permission to wonder. This week the Wall Street Journal and The Australian both ran an interesting article on the scientific evidence for the existence of a creator. Written by Eric Metaxas, biographer and journalist, the article raises the question of God using scientific arguments. a planet the right distance from that star. He goes on to point out that given the roughly octillion — 1 followed by 24 zeros — planets in the universe, there should have been about septillion — 1 followed by 21 zeros — planets capable of supporting life. As of 2014, researches have discovered precisely zero. Metaxas continues to show that as knowledge of the universe has increased, it became clear that there were far more factors necessary for life than Sagan supposed. His two parameters grew to 10 and then 20 and then 50, and so the number of potentially life-supporting planets decreased accordingly. The number dropped to a few thousand planets and kept on plummeting. As factors continued to be discovered, the number of possible planets plummets below zero. In other words, the odds turned against any planet in the universe supporting life, including this one. Probability says that even we shouldn’t be here. Today there are more than 200 known parameters necessary for a planet to support life — every single one of which must be perfectly met, or the whole thing falls apart. Without a massive planet like Jupiter nearby, whose gravity will draw away asteroids, a thousand times as many would hit Earth’s surface and so forth. Metaxas concludes, the finetuning necessary for life to exist on a planet is nothing compared with the finetuning required for the universe to exist at all. Alter any one value and the universe could not exist. For instance, if the ratio between the nuclear strong force and the electromagnetic force had been off by the tiniest fraction of the tiniest fraction — by even one part in 100,000,000,000,000,000 — then no stars could have ever formed after the Big Bang at all. Western tradition, stemming from the Enlightenment period has placed a sharp divide between discussion around faith or spirituality in relation to science. The religious wars of Europe at the time resulted in an uneasy truce based on the determination to separate church and state, science and religion from each other. There is almost a ban on public discussion to this day of the combination of these ideas. However, scientists making strong athiestic statements of the ilk “God is dead” re-enter this debate as guiltily as any churchman or Musliman or Hinduman. Since the Romantic period of the late 1800s, art and culture has moved strongly towards a more spiritual dialogue, integrating what was denied during the rationalistic period of enlightenment debates. This re-ignited stories of spirits, other worlds, magic, time travel, dreams and re-opened questions of origin and being. Science fiction is a descendent of the romantic tradition, combining scientific knowledge with permission to wonder and imagine. Science Fiction, not unlike ancient myth and legend, has long asked these questions with absolute permission. Unembumbered by rhetoric required to separate rationalism and spiritualism, questions of being, life, existence have been freely explored. Moreover, the harsh modern and pre-modern debates are largely out of date in contemporary society, a society in which most people and cultures acknowledge a spiritual realm, even if they do not agree to the nature or name of that realm. Such an article, other than within the close circles of academia still bound to the strict mores of generations past, will not seem surprising at all. In fact, I believe most people sigh a sigh of relief to hear that science is gradually catching up with the zeitgeist of the time to acknowledge it’s okay to discuss spirituality in the public realm again.